Earwig Co-Founder and Marketing Director Emilie-Kate Kidd was delighted to be given the opportunity to speak at the 1,000 seater BETT Area at The BETT Show at Excel, alongside the Headteacher and Founder of Blossom House School, Joey Burgess OBE. Emilie-Kate spoke about the state of the SEN system, her own personal journey with her son’s special needs and how shortcomings in the assessment process for special needs children lead to wrong decisions and grief and pain for children and parents alike. This applies across the SEN spectrum and across the whole fragmented and disjointed system, from the local authority through to carers, therapists and, of course, schools. 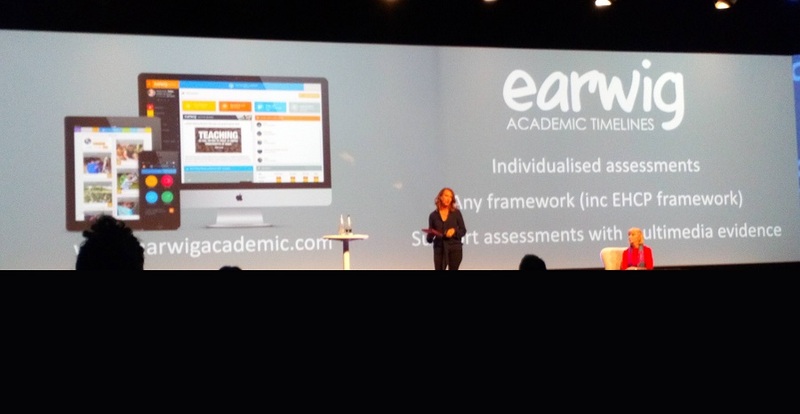 Inspired by Emilie-Kate’s experience and the Rochford Recommendations on SEN Assessment, Earwig have developed their SEN Assessment Suite which allows schools to individualise targets for each child, around the Educational Health and Care Plan drawn up for that child by the local authority. The Earwig package enables all the assessments made in respect of a child to be pooled in one place, supported by evidence and shared with both parents and all the outside agencies concerned with the well-being of that child.